Silvia Zamarion is an architect and has a deep and passionate love for art. 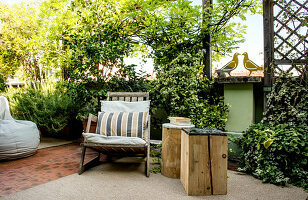 Her home in the Italian capital city is proof of both her profession and her passion. It is filled with art and exhibits her extraordinary feeling for colour. 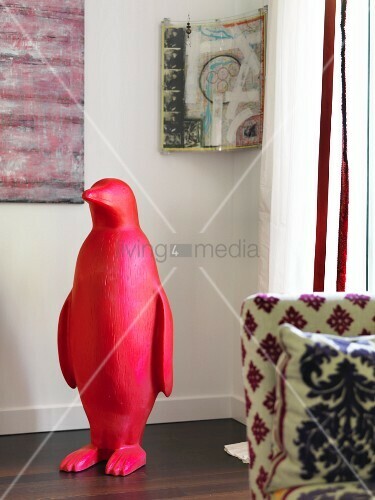 Red leather chairs are the focal point of her living room and reflect the exact shade of the penguin sculpture on the other side of the room.